You’ve written your book, revised it, had your writing group help with edits, then revised again. Now, you’re ready for the query phase. Before you send out that manuscript, take a look at this HuffPost Books article on knowing whether your book falls into the mainstream or literary fiction category. Literary And Mainstream Novels: What’s The Difference? The article, written by the Writer’s Relief staff, highlights the major differences and how knowing these guidelines will strengthen your query letter and marketing strategies. Do these definitions work for you, WNBA-ers? Too simplified? Or just common knowledge? Share your thoughts in the comments section. If you are a writer, WNBA-NYC offers opportunities to read and get read! 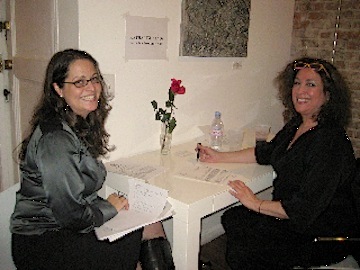 You can have your query letter reviewed by literary agents at our annual Query Roulette, entertain members and non-members alike with original prose at Open Mic Night (next one scheduled for May 23), or contribute to our monthly chapter newsletter or daily blog. If you are a reader, the WNBA initiative, National Reading Group Month/Great Group Reads can introduce you to some of the best books and authors of the year! National and local chapter events for NRGM are planned every Fall, featuring top authors such as Julie Otsuka, Scott Spencer, and Nayana Currimbhoy. Or get involved with Great Group Reads, an annual booklist selected by a members-only committee. If you’re an industry professional (or trying to be), WNBA-NYC holds members-only networking functions and houses member profiles in a members-only database to help you connect to others. Our panel events—free for members—offer industry insight into the world of digital/e-publishing, marketing, production, bestselling fiction, and independent book sales, and more. Our social communities on Twitter, Facebook and LinkedIn offer networking opportunities, as well as promotions for your company, book, or project. 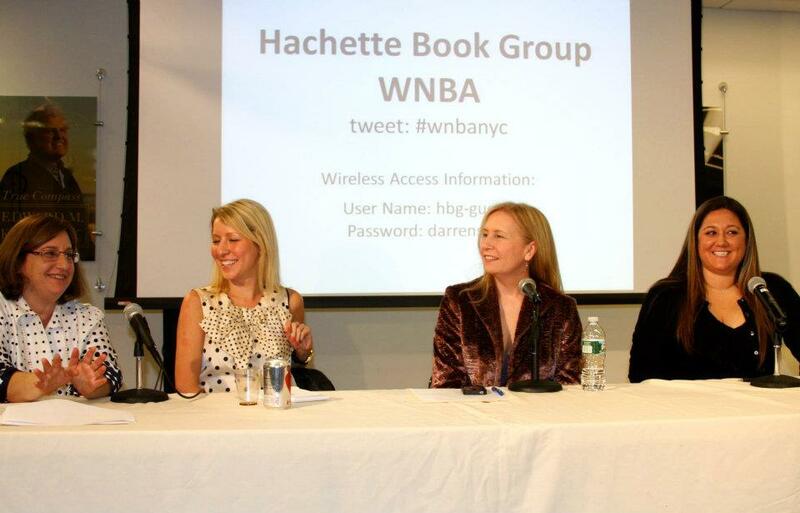 The WNBA-NYC Chapter’s annual year runs from September to August. Members may join all year round, but are up for renewal every August 31. Right now, however, a unique window for membership is open. Those that join between April and August have their membership extended to the following year—a result of up to four additional months! Join now and take advantage of our upcoming events like The Historical Fiction Panel; Open Mic Night at KGB Bar; the downtown Indie Bookstore Crawl; and a neighborhood lunch at a local NYC restaurant. A full list of programs and events can be found on our website’s WNBA-NYC Program and Event Calendar. If you’re a lover of books, writing, and publishing, you’ll love us as well! Go to the WNBA-NYC membership page for complete details and how to apply! Member Monday: Meet Helen Wan! In honor of tomorrow’s much anticipated Query Roulette, this Member Monday interview spotlights Helen Wan, who found her agent at a previous Query Roulette! 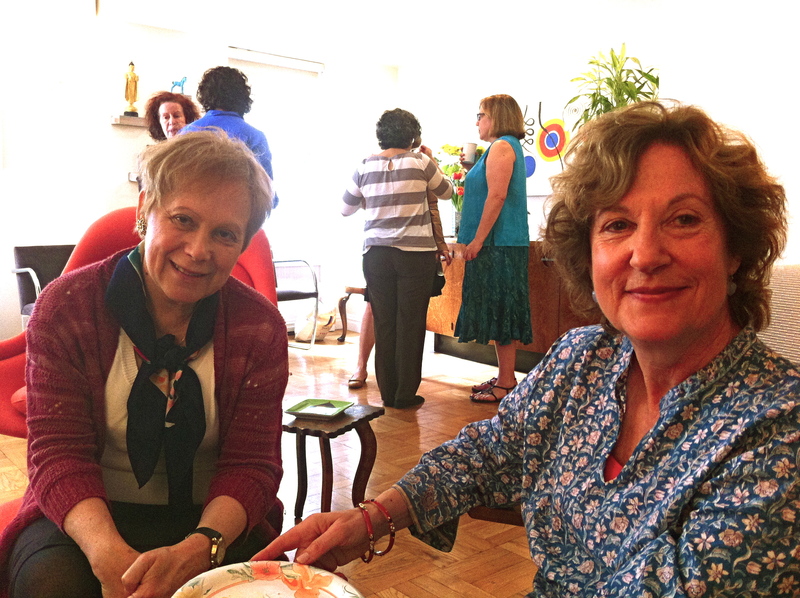 Read about her experience, her new book, and her advice to Query Roulette attendees below. Helen Wan is a writer whose first novel, tentatively titled THE FIRM OUTING, will be published by St. Martin’s Press in 2013. She is also Associate General Counsel at Time Inc., where she advises the Lifestyle portfolio of magazines and websites and the branded book division. A graduate of Amherst College and the University of Virginia School of Law, her essays and reviews of fiction have been published in The Washington Post and elsewhere. Helen lives in Fort Greene, Brooklyn, and first joined WNBA-NYC in 2003. You can follow her on Twitter @helenwan1. Hannah and Erica: Congratulations on the upcoming publication of your new novel, The Firm Outing, with St. Martin’s Press. Can you tell us a little about how you came to write the book? Helen: Sure. Over a dozen years ago, when I moved to New York to start my first job as a young associate at a big corporate law firm, I quickly discovered that writing (in bits of stolen time, at odd hours and on my rare weekend off) was a welcome respite from the stress of my day job. I also knew exactly what I wanted to write about, which really helps. I knew I wanted to write the story of an outsider in the workplace; what exactly happens when a young, smart woman confronts The Glass Ceiling for the very first time? First I thought I would write a collection of essays, as I’d published a few articles in The Washington Post while in law school. But not surprisingly, nobody was interested in a bunch of essays from an unknown writer who spent her days toiling away at a law firm. Finally I signed up for an “Intro to Fiction Writing” class at the Asian-American Writers Workshop. The pages I wrote for that class became the seed for this novel. Hanna and Erica: You found your agent at last year’s Query Roulette – can you describe that experience? Helen: Query Roulette is an amazing opportunity for writers. First of all it’s really rare for an aspiring writer to get to meet and talk one-on-one with up to ten reputable literary agents about your book, but what I truly liked about the set-up was that there’s no pressure to pitch your book – the two of you are simply sitting down together to talk about how to make your query letter work better. This task-focused approach took a lot of the intimidation factor out of it for me, so I could feel much less nervous about the whole process. Hanna and Erica: Do you have any advice for writers attending this year’s Query Roulette? Helen: Sure. One, make sure you do all the homework on the agents you’re meeting with. If they represent a book or author you love, tell them so, and even more important, tell them why your book might resonate in a similar way with a similar audience. (It’s really hard to fake this stuff, though, so don’t try. If you’re meeting with an agent who represents primarily science fiction and you’ve never read a science fiction book in your life, there’s no need to try and pretend otherwise. That agent can still have really useful advice for you on your query letter.) Two, it sounds obvious, but make sure the query letter you bring to work on is already the very best query letter you can possibly write on your own. It should not be a first draft. The hook should be front and center, the synopsis concise and cogent. Stick to one page. I know it sounds like a shampoo commercial, but you really do only get one shot at that first impression. Hannah and Erica: Did you run across any hurdles in finding a publisher for your upcoming novel? Helen: Ha! How much time do you have? I think there are very, very few authors out there who can honestly answer “No” to this question (and the rest of us don’t like them very much). Over the nearly ten years I worked on it, I definitely had my fair share of hurdles. At one point, I was sleeping horribly. I kept waking up at four-forty (always four-forty, for some reason) to mull over all my rejections from agents. Too commercial. Not commercial enough. Too literary. Not literary enough. And so on. One of my favorites was the agent from a big-time firm who called to tell me she loved my writing, but one of her pet peeves was that talented new writers always feel the need to write about their ethnicity in their first book. What if I rewrote my book but not from the point of view of a minority? Happily, my agent and my editor don’t feel that way! Hannah and Erica: What is your biggest guilty pleasure book? Helen: Well, it’s not really a guilty pleasure, but I love, LOVE the entire Harry Potter series. I think, truthfully, that J.K. Rowling can be properly called a genius. I will read anything she writes. Hannah and Erica: How did you make the transition from attorney to writer? Helen: Well, I actually haven’t made a transition from attorney to writer. I do both. I’m a lawyer for Time Inc.’s Lifestyle portfolio of magazines and websites. So I get to marry my interests in writing and law, and I get to be around writers, editors, and other creative people all the time at work. It’s a great fit for me. Hanna and Erica: What is your favorite word? Helen: Confluence. In the fifth grade, I had a wonderful teacher who told us, “Never, ever, pass up an opportunity to use a marvelous word where just a good one will do. For example, ‘confluence’ is an extremely marvelous word.” It really is, in both sound and meaning. To this day, I never, ever, pass up an opportunity to use it. For more on Helen, be sure to follow her on twitter @helenwan1! There are still a few spots open for Query Roulette! Click here to register. What makes Query Roulette so amazing? Our witty New York Bookwoman editor, Rhona Whitty, explains. If Temple Grandin were asked to design a humane format for writers to meet agents, she’d come up with WNBA’s Query Roulette. I’m not kidding. Just because writers have become inured to the humiliation of having to pitch their complex novels to complete strangers in under thirty seconds, doesn’t make it right. 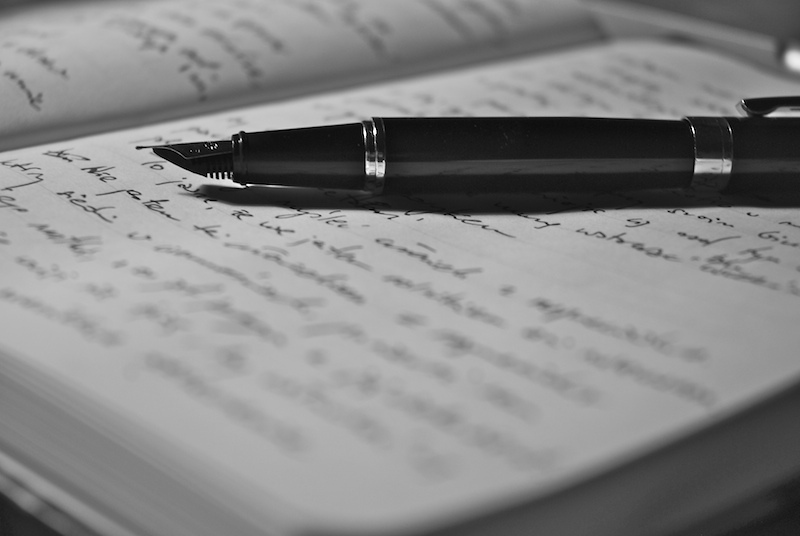 There are lots of theories as to how writers were first maneuvered into pitching their novels. Culturally accepted today, if not expected, it is of course counter-intuitive to the whole business of writing. Although like most creation myths, those seeking to explain this tradition often involve goldfish, the most convincing version I’ve ever heard has nothing to do with fish, but is closely connected to the infamous Algonquin Round Table. Back in 1925, a few editors and literary agents, Jim, Bob, Bill and Max, tried to start their own Round Table at the Algonquin, but the hotel would only give them a tiny square table next to the kitchen; not only severely limiting their numbers, but also of course, their social cachet. One afternoon, perfectly ordinary in all other respects, three of them sat there drinking scotch, waiting for Max to arrive. They filled their time glowering at the smoke circles Dorothy Parker puffed like benedictions in their direction. When Max showed up, his head was swathed in bandages, and both eyes were blackened. “I’m getting out.” Max slumped into his chair. He pretended not to notice Dorothy and her vicious minions laughing at his appearance. “You’re the best goddamn editor this town has ever seen, Max!” Bill had tears in his eyes. “But how can we protect ourselves?” Jim had taken a photo of his kids out of his wallet, and was considering it thoughtfully. “Trust me. There is a way they can never hurt us again.” Bob gave them a sly smile, and tapped the side of his nose. “I say from now on we make them tell us their damn stories. No more paper.” Bob said. “How long do you think it would take Fitzgerald to explain The Beautiful and the Damned?” Bill said. Max groaned, and called for a waiter who ignored him in favor of the writers at the round table. “Sounds cruel, even if they are writers.” Jim said. “They’ll never go for it.” Bill shook his head. “If we all stick together, what choice do they have?” Bob told them. “What the hell is an ‘elevator pitch? '” Alexander Woollcott asked the writers at the round table. 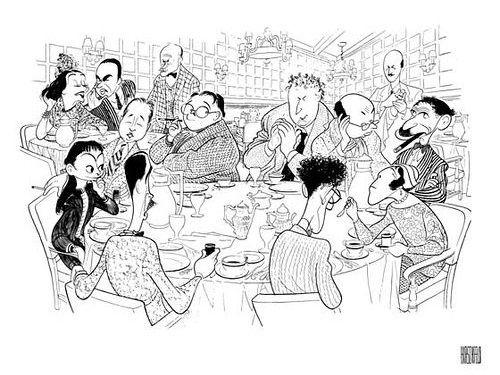 The Algonquin Square Table was abandoned soon after that, but the idea of making writers pitch their books gathered momentum, and the agents and editors have had the last laugh. Until now. . .
Register for Query Roulette, which is next Tuesday, February 28th, and take back the written word! Do it for Dorothy. Do it for all those writers who were subjected to the ‘Paternoster of Pain’ for the past ninety years. Do it for the generation of writers to come. Most of all though, do it for yourself. Click here to register. Query Roulette: Save the Date! We know it’s a little early, but we are so excited we just couldn’t wait! Like speed dating for agents and writers! *Names of participating agents and additional information coming soon!